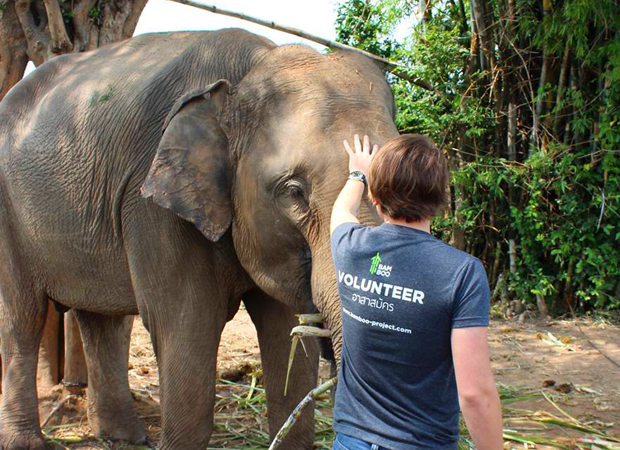 Volunteer with elephants in the small authentic village of Surin, north eastern Thailand. Surin was once a working village where ‘mahouts’ (elephant masters) worked with their animals in the logging industry in Thailand. In recent years however, mahouts have took to the streets of Bangkok to earn money by selling corn to tourists to feed the elephants. By volunteering, you will help to support to stop this practice with your volunteering fee going directly to help the community. You will also work with the mahouts to get up close and personal to these incredible creatures and experience real Thai life. • Playing with and entertaining the local village kids, who will demand your attention! Don’t forget! Book your travel insurance now through our recommended provider – the best travel insurance for backpackers. Located approximately 60km north of Surin city lies a very rural and very traditional Thai farming community. Houses made of wood, roads made of dirt, rice and sugar cane fields as far as the eye can see. 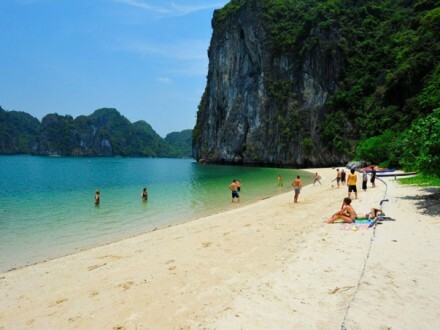 This is one of the most beautiful and genuine areas of Thailand with a very friendly and welcoming lifestyle. Surin is one of our favourite places in all of Thailand. For a true slice of Thai life far away from the tourist trail Surin offers the best experience. The elephant capital of Thailand so naturally the center of all of our elephant conservation work. Close to the border of Cambodia (Angkor Wat is only a day away) Surin will welcome you with one great big elephant hug with some of the best food, nicest people and BIGGEST friends you will ever make. Way, way back – we’re talking over 300 years ago – the local communities sent out their strongest and bravest men in to the jungles that once surrounded this region to capture wild elephants. Weeks would go by but eventually the men would return with the animals. These elephants were then trained over a very long period of time and put to use helping to clear the jungles to make way for civilisation. Up until the mid-1980’s local elephants here were still used for logging. Now however logging is an illegal process. This means that the elephants have literally been made redundant. 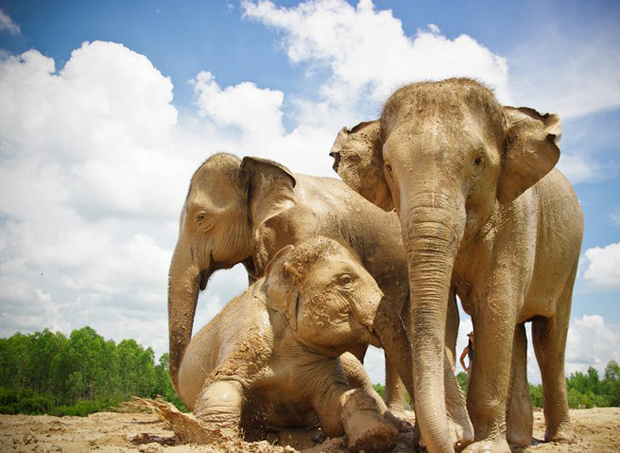 Treated by their owners just like your ordinary household pets, these elephants can consume upwards of 300kgs of food daily and require constant health checks – this is extremely expensive for an ordinary farming family who’s income maybe less than $5 per day. In order to pay for an elephants care, many of their owners (known as ‘Mahouts’) began to walk their elephants through the streets of the big cities, selling photo opportunities to tourists. This is obviously a hugely dangerous activity; almost daily you will hear of an elephant and his Mahout being killed in a traffic accident. In addition, an elephant is built to live in a rural setting, not to walk hot, dusty roads and breathe poisoned air. In order to help one such village, we have joined forces with its elders. We have promised to support them and the elephants by supplying physical labour and finance if they promise not to tout their elephants to tourists. 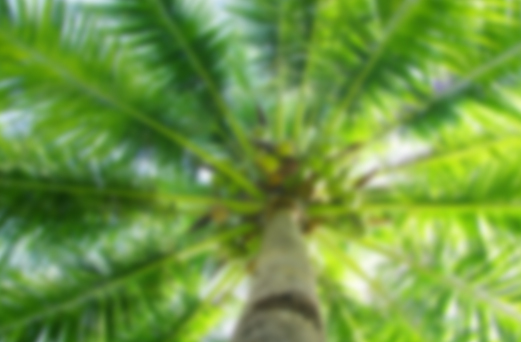 Amongst other things your payment is used to ensure the elephants remain in a healthy, natural environment. That they receive the right healthcare and a regular healthy diet and that the villagers also enjoy spending time with you. This is a unique, once-in-a-lifetime opportunity to live as and work with real Thai Mahouts. 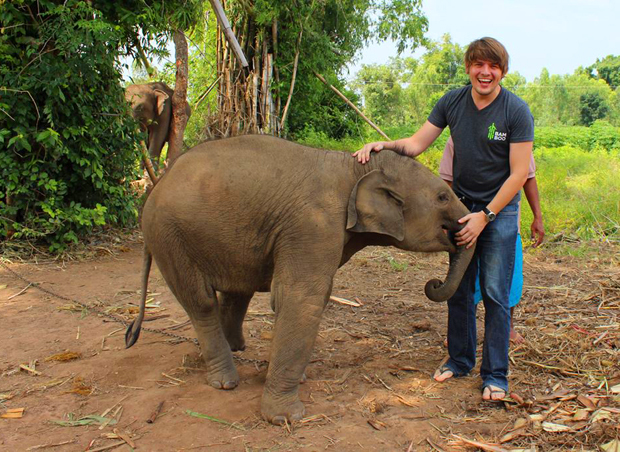 Spend 3 nights and 4 days each week learning how to work with, train, feed and wash the elephants. Experience ‘real’ Thai community life first-hand; help with cooking the meals, farming the land, getting your hands dirty on small micro-development projects and even help to teach the local kids a few words of English. This really is something very special. It is our job to make sure you understand 100% what is happening, 100% of the time. Before you leave to come and join us, our team is available to answer any questions or worries (that includes mums & dads) you might have. 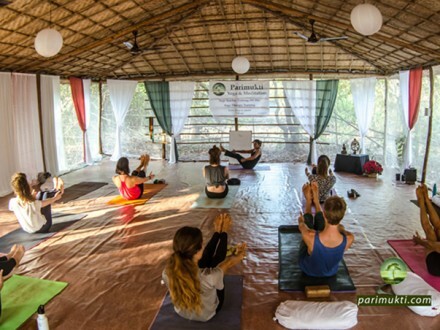 Once we have received your booking and confirmed your placement you will receive an in-depth pre-departure pack that will help you to plan and prepare for your time as a volunteer with us here in Thailand. What’s included? What isn’t included? Airport pick-up on arrival if required. Two nights guest house accommodation on the world famous Khao San Road including breakfast each day. First morning welcome meeting and orientation. Optional guided city tour of Bangkok. Welcome meal at one of the Khao San Road’s most popular restaurants. First class coach or train transfer to Surin in north east Thailand. Minimum 2 nights bed & breakfast accommodation in a central Surin hotel. 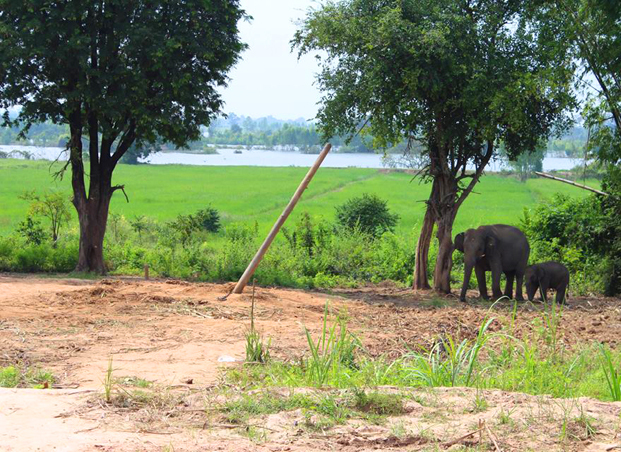 3 nights accommodation in the elephant village homestay, including ALL MEALS. Trip to the elephant rehabilitation and research centre. Donation to the project costs for your volunteering work to support the elephants and community directly. 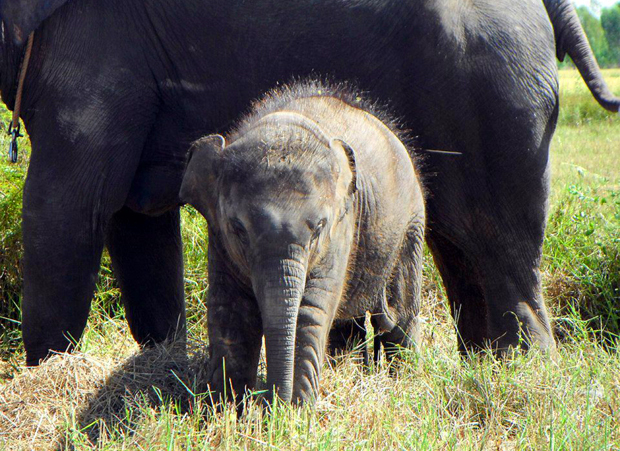 Donation towards the welfare and healthcare of the elephants. Return transfers from Surin to the elephant village. Daily support from one of our experienced and English speaking volunteer coordinators. 24 hour in-country emergency contacts. All meals and drinks (except those mentioned). Activities outside of the ones listed to the left. Any Visas or Visa fees. CONTACT US TO ASK A QUESTION HERE – OR RESERVE YOUR PLACE NOW!